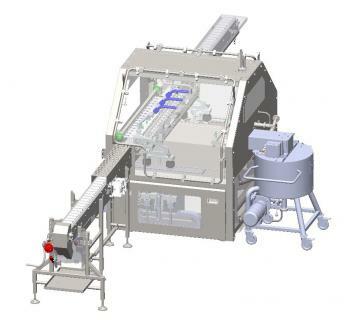 Manual, semi automatic or fully automatic products feeding system. Vertical or lateral injection using one or more injection points. Filling with cream, jam, chocolate, caramel, or fruit puree for donuts, croissants, cakes, brioches, madeleines, muffins or éclairs. 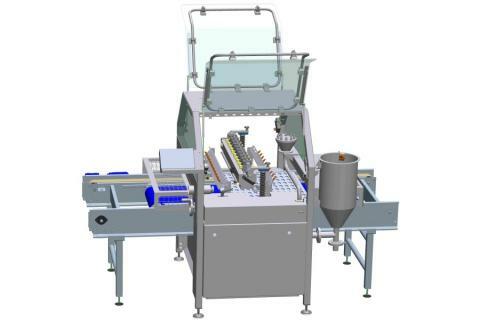 Procys has a full range of filling machines and will discuss with you the most appropriate to your needs. After the outlet of oven or fryer, we propose the product distribution & alignment, and we manage the synchronization of rows with the injection head. Hygienic design, CIP (cleaning in place), quick product or filling change-overs. Function no product / no injection. Automatically via robot or pick & place which transfer product rows in the cavities.